Location! Location !! Rare opportunity for 3,000 sq.ft. Valparaiso/Center Township. Zoned C-1. This property has 5 rentable units. Two are currently rented. 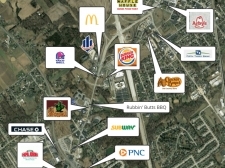 Great location for a gas station and convenience store and industrial use. Re-Development site FOUR LOTS COMBINED. Quite possibly the best building when considering location. 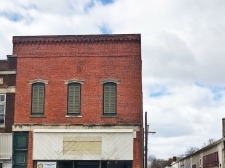 Well located retail or office space in downtown Hebron. One of only a few newer multi-purpose industrial buildings available in Porter County. Cape Cod Style Single Family Only: $15,900! Abundance of Possibilities! These 24. 4.84 Acres on SR 37 holds many possibilities residential/agricultural.